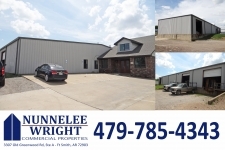 Arkansas is home to approximately 2.9 million people and has a variety of diverse commercial real estate listings that continue to consistently draw attention from those interested in commercial realty and investment property. Home to a variety of impressive national parks, Arkansas has many impressive natural wonders. Agriculture dominates that state's economy with everything from cattle, poultry and hogs to cotton and rice playing a role in the state's robust agricultural industry. Manufacturing is also well represented in Arkansas, as automotive manufacturers have a strong presence. Other manufacturing, such as machinery manufacturing, also plays a role in the state's economy. This factor stimulates office space, industrial space and commercial realty alike. Large corporations, such as Wal-Mart and Tyson Foods, are headquartered in Arkansas and stand as major holders of office space and industrial space. Another major employer in the state is education. Little Rock is by far the largest city in the state with nearly 200,000 residents, and it also serves as the state's capital. 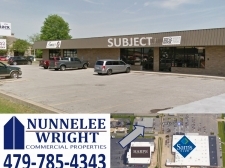 Those interested in commercial real estate listings and commercial property will find that Little Rock offers many options. Other cities of note include Fort Smith, with roughly 86,000 residents, and Fayetteville with approximately 73,000 residents. Large Big Box Retail Suite! 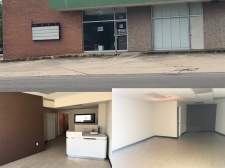 Small Office Space with Retail Frontage! Approximately 400 square feet, owner pays electric, water, and sewer. Excellent location for small business. In the middle of Greenwood Town Square. 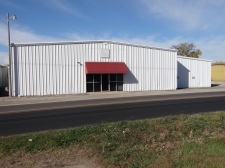 Industrial Building for Lease or Sale! Under Construction New Retail or Office Building! 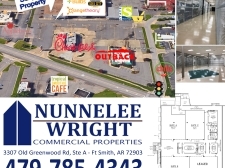 3800 square foot restaurant end cap for Lease. Has all kitchen equipment and tables. 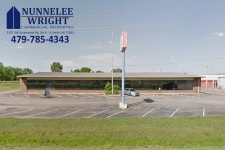 Lonoke Shopping Center has two spaces available for lease. High Traffic Retail Spaces on Phoenix Ave! 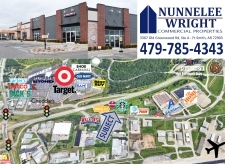 Large Retail Space on Jenny Lind Rd! Retail location next to Sam's Club! 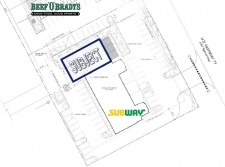 Large office area behind high traffic Chick-fil-A! 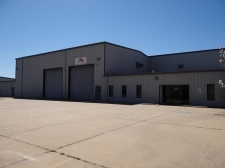 Large office space in Van Buren!